What Should A Math Teacher Teach? A note to the reader: This posting is from a short essay that I wrote after retiring from full time teaching in 2000. Though it is dated, I think the message is still appropriate. I invite you to look at it from your point of view – which most likely is as a student, but not a teacher of math – and share your thoughts. As a teacher, it is important to know what you are teaching. This may seem like a simplistic and obvious statement. I think many teachers do not completely understand what they need to teach. 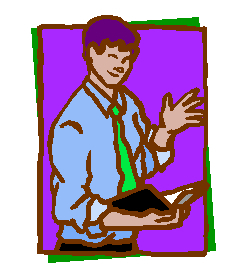 Teaching is often viewed as imparting or “giving” knowledge to students. Having taught mathematics for thirty-one years, I too had this view of teaching. I often, especially during the first half of my career, would see my role in the learning process as one who should give knowledge. I valued the demonstration of a good memory more than the understanding of a way of thinking. It is the improvement of the students’ thinking that I now value most. Of course, memory is important in the thinking process but it is only an aid to becoming knowledgeable. Memory can help when we need data, theories, concepts, etc. but it is not the only tool or aid that can help with our thinking. If we are not careful as teachers, we may “reduce” our teaching to expecting our students to perform and think as a tape recorder does. Does a tape recorder think? Does a tape recorder know? The expectation of memorized thoughts and the need for answering all questions were my two main principles of teaching for the first half of my teaching career. This changed during the second half of my career when I realized that reasoning, problem solving, communication, and creativity are not improved unless the learner is taught to know without rote memorization and/or teacher answered questions. The beliefs that “rote memorization is the last desperate act for someone who does not understand” and “questions drive thinking – answers end thinking” became fundamental to all of my lessons. So, exactly what am I teaching? What, in my mind, is my most basic goal as a teacher? This I struggled with for a long time. After thirty-one years of teaching and much research into different philosophies of education and human thought I have come to the conclusion that, as a mathematics teacher, I should teach the students how to improve their mathematical thinking. If I was a history teacher, I should help them to improve their historical thinking. This could and should be applied to all disciplines. Indeed, because each is an organized systematic way of thinking, we call the various “studies in school”, disciplines. They are disciplined ways of thinking. 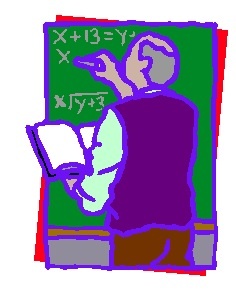 What should a math teacher teach? To the best of her/his ability, teach the students how to improve their mathematical thinking. What should a student strive for in a mathematics class. To the best of her/his ability, learn what mathematical thinking is and how to make it part of her/his thinking. 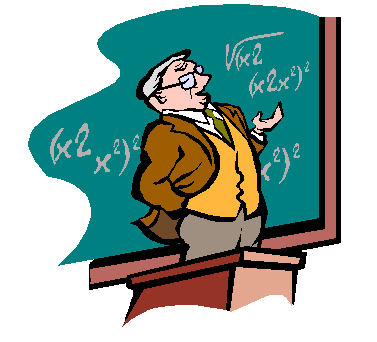 What do you think a math teacher should teach? This entry was posted on Monday, July 13th, 2009 at 1:00 am and is filed under R2, Ron Rogers, teaching math. You can follow any responses to this entry through the RSS 2.0 feed. You can leave a response, or trackback from your own site. One Response to What Should A Math Teacher Teach? Interesting article. I think a lot of our ways of thinking or teaching others to think depends on experience and possibly age.